Jaz is a catalyst for change who, through celebration and provocation, invites audiences into deep narratives around the human condition. This translates beyond her own powerful story of overcoming obstacles to the stories of those whose lives we seek to impact. 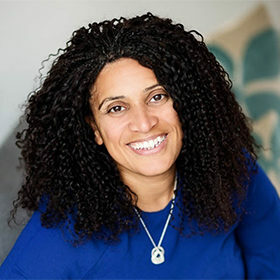 Using humility, honesty, humour, and a disarming ability to persuade the audience to let their guard down, Jaz inspires at a level where participants are left saying ‘I want to live differently from now on, because of what I heard.’ Her ability to alter the chemistry and invite everybody into the conversation is significant. What Jaz does is simply transformational.